KWIC is the acronym for Key Word in Context and refers to the red text highlighted in a concordance. The red text is the result that matches the search criteria. Such a concordance might be referred to as a KWIC concordance. The KWIC concordance is the preferred format for displaying concordance data because it is easy to observe the context to the right and left. 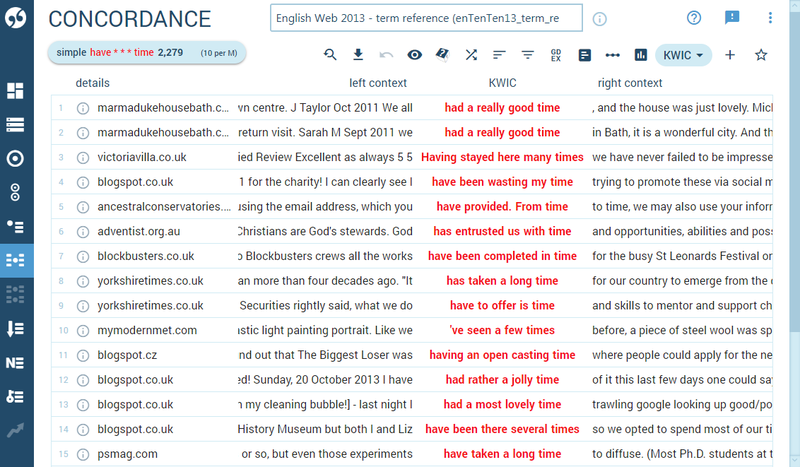 Sketch Engine allows to change the KWIC view to sentence view which displays the complete sentence. The sentence view is only useful in specific cases such as when working with GDEX.